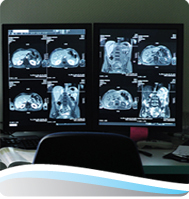 At Perfect Imaging we know that preparing strategic guidelines for replacing your PACS system and changing vendors can be costly and time consuming. We have years of experience in the healthcare industry and working with top PACS system vendors and healthcare informatics interoperability standards. This experience allows us to anticipate customer aggravations before they occur and our team works with you to make the switch as easy as possible. Our goal is to make your transition to PACSstar as seamless as possible. Contact us today for a free consultation.